LeClaire, Iowa, a Midwestern historic town located where Interstate 80 crosses the Mississippi River. As the birthplace of Buffalo Bill and known as the town “where the river pilots lived” our city’s heritage is fascinating and varied. LeClaire has always had a close relationship with the Mississippi River. In the 19th century, the town was home to the river pilots who navigated through the dangerous Upper Rapids. Nowadays, the pilots are commemorated by the Mississippi River Distilling Company, which crafts concoctions, such as River Baron Artisan Spirit and Cody Road Bourbon, named for the city’s most famous native son, William “Buffalo Bill” Cody. You can best explore the waterway with an overnight cruise on the elegant Riverboat Twilight. While onboard, make sure to keep an eye out for the river’s most celebrated residents, bald eagles and white pelicans. The Mighty Mississippi even plays a starring role in the town’s coolest annual celebration: Tugfest, a cross-river tug-of-war with Port Byron, IL. Famous as the Birthplace of Buffalo Bill Cody, LeClaire is a now a popular tourist stop. Antique Archaeology of American Pickers fame is a short walk from Vettes On The River. The Mississippi River Distilling Company is quickly becoming know for it’s distinctive spirits made from local grains. River Rose gin and Cody Road bourbon are just a couple of their great products. 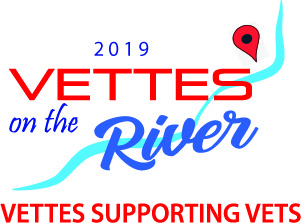 Stop by for a free tour and sample some of their products.The Buffalo Bill Museum is right next to the Mississippi River and smack dab in the middle of the Vettes On The River Corvette show. It’s open during the event and has lots of great historical items including the Lone Star steamboat.There are lots of great dining options within walking distance of Vettes On The River. If you like browsing interesting little shops and searching for that perfect antique item, you’ll be right at home in LeClaire. Don’t forget to stop by The Shameless Chocoholic for some handmade chocolatey deliciousness.